What Are The Different Types of Malocclusion? 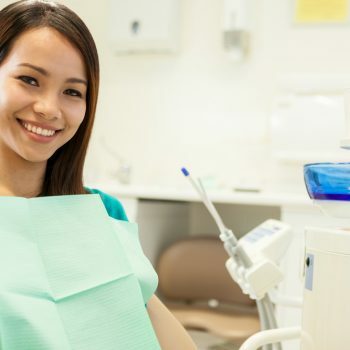 Whenever you visit a dental professional, it is not uncommon for the doctor or staff to use some terms that you may find difficult to understand, particularly when it comes to diagnosing problems and explaining treatment options. Chances are, if you or a member of your family have ever visited an orthodontist, you have experienced teeth that required straightening or a malocclusion. 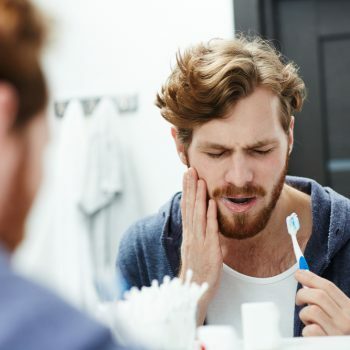 A misaligned bite is also referred to as malocclusion. It means your teeth and your jaw do not line up naturally. This misalignment can cause undue stress on the way you move your mouth or make it more difficult to do basic activities such as eating and speaking. The good news is that malocclusions are treatable. The treatment plan and length depend primarily on the type of malocclusion and how much action is necessary to correct it. There are three main types of malocclusions classes. Type I: The teeth angle toward the tongue. Type II: Includes narrow arches with the upper teeth sticking out and lower teeth leaning in toward the tongue. Type III: The upper front teeth angle toward the tongue and crowding is present. Division 1: The upper teeth are angled toward the lips. Division 2: The upper central incisors are angled toward the tongue. Type I: The alignment of the teeth is good in general, but there is an abnormal shape to the arch. Type II: The upper front teeth alignment is fine, but the lower front teeth lean toward the tongue. Type III: The upper arch is underdeveloped. The lower teeth have good alignment, but the upper front teeth lean toward the tongue. Before beginning orthodontic treatment, you will need your malocclusion properly identified. Proper identification will guide the course of treatment to bring the teeth and jaw into proper alignment. It can also help to identify possible causes of the malocclusion, especially if those causes include habits that need to be addressed first. Such cases can include things such as thumb-sucking, or ill-fitting dental appliances. ClearCorrect: A popular option for teeth straightening, ClearCorrect involves the use of aligners to fix Class I, II, and III malocclusions, as well as teeth that are too far apart. The aligners are custom fit to the patient’s teeth, and treatment includes a checkup every three weeks to receive a new aligner. Average treatment lasts a little over a year. Invisalign®: Another aligner treatment option that many adults and teens see success with. Patients must have a follow-up appointment approximately once a month to receive a new aligner. Treatment time for adults lasts about one year. Six Month Smiles®: Similar to braces, Six Month Smiles® is a wire and bracket system that helps to treat various malocclusions, particularly Class II and III. One of the greatest benefits of using this system is that the components are clear or we can match them to the color of the patient’s teeth to make them less visible. This is also one of our more affordable orthodontic treatment options. Though they may cause concern at first glance, malocclusions are conditions we can treat at All Smiles. With a detailed assessment and consultation, we can help you come up with a plan to acquire the smile you deserve. To set up a consultation or to find out more about our orthodontic treatment services, contact us today.